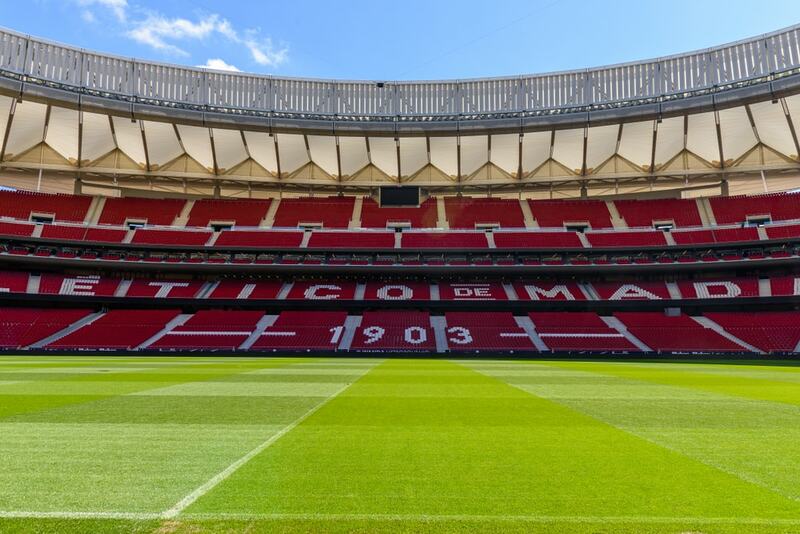 The originally working class club from Madrid plays its home matches in the Wanda Metropolitano. Here the fanatical home supporters literally ‘sit on top of the pitch’. Atlético has a very sound team at their disposal, with players such as Antoine Griezmann, Diego Godín and Koke making Atlético a very tough team to beat at home. Club Atlético de Madrid commonly known as Atlético de Madrid or Atlético is a Spanish professional football club based in Madrid and is currently playing in La Liga. In terms of importance of titles and number of followers, Atlético Madrid is the third most successful club in Spanish football, behind Real Madrid and FC Barcelona. 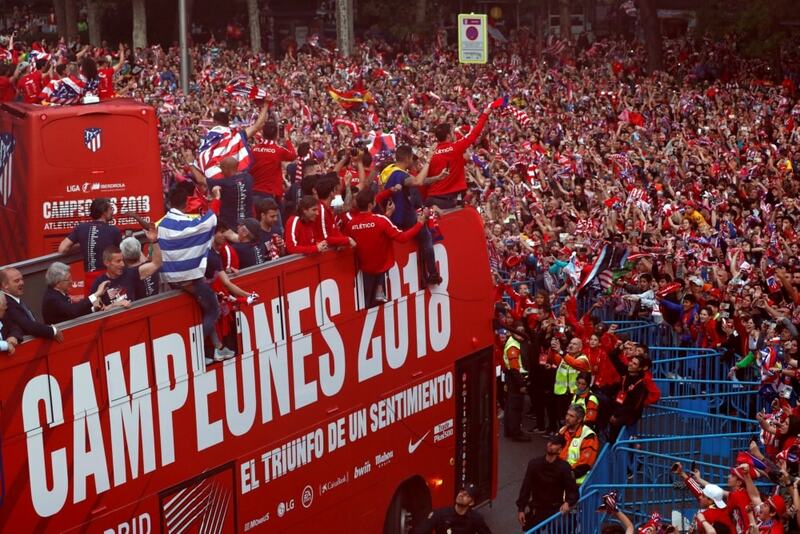 In terms of the number of titles, Atlético Madrid is the fourth most successful club in Spanish football, behind Real Madrid, Barcelona and Athletic Bilbao. Atlético have won La Liga on ten occasions, including a league and cup double in 1996; the Copa del Rey on ten occasions; two Supercopas de España and one Copa Eva Duarte; in Europe, they won the European Cup Winners&apos; Cup in 1962, were runners-up in 1963 and 1986, were European Cup runners-up in 1974 and 2014, won the Europa League in 2010 and in 2012, won the UEFA Super Cup in 2010 and 2012, won the Intertoto Cup in 2007, as well as the 1974 Intercontinental Cup. 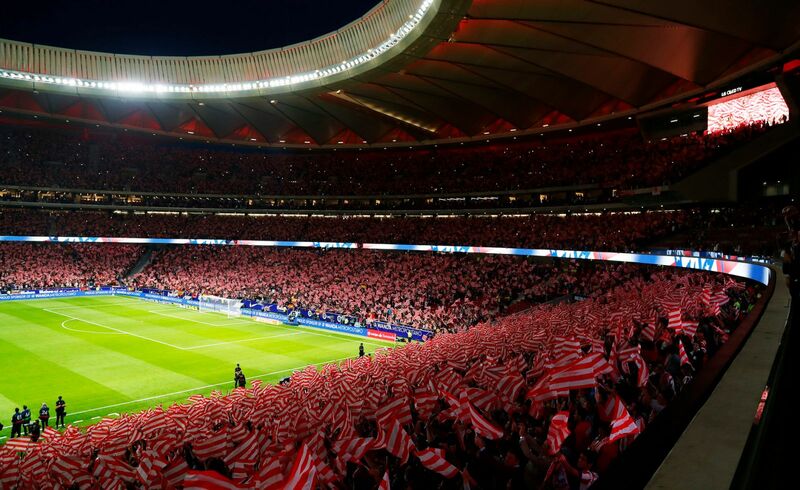 The club play their home games at the Wanda Metropolitano, which holds up to 67,7000 spectators. Atlético&apos;s home kit is red and white vertical striped shirts, with blue shorts, accompanied by blue and red socks. This combination has been used since 1911. The current club kits are manufactured by Nike and the main sponsor is Plus500. 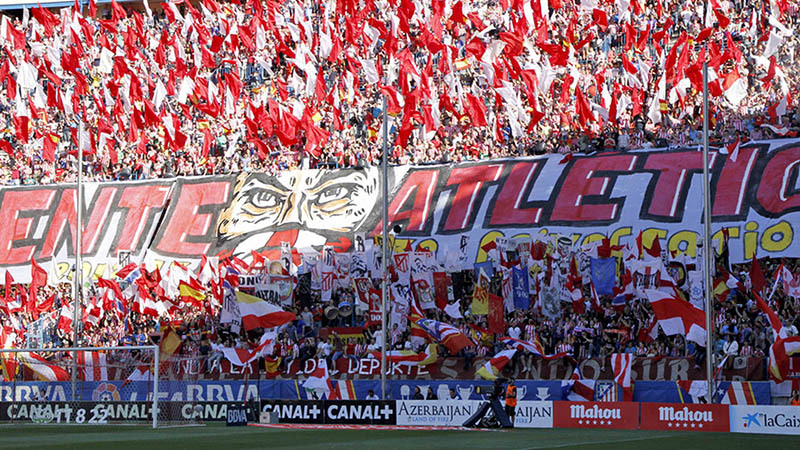 During their history, the club has been known by a number of nicknames, including Los Colchoneros ("The Mattress Makers"), due to their first team stripes being the same colours as old-fashioned mattresses. During the 1970s, they became known as Los Indios, allegedly due to the club signing several South American players after the restrictions on signing foreign players were lifted. However, there are a number of alternative theories which claim they were named so because their stadium is "camped" on the river bank, or because Los Indios (The Indians) were the traditional enemy of Los Blancos (The Whites), which is the nickname of the club&apos;s city rivals, Real Madrid. Felipe VI, the current king of Spain, has been the honorary president of the club since 2003. The club co-owns the Indian Super League franchise in Kolkata, named Atlético de Kolkata, which won the inaugural season of the competition in 2014. Real Madrid and Atlético Madrid are clubs with contrasting identities and very different fates. While Real Madrid&apos;s Santiago Bernabeu Stadium proudly rises on Paseo de la Castellana in the wealthy Chamartín neighbourhood of northern Madrid, Atlético&apos;s former less glamorous Vicente Calderón Stadium stands way down south, in the working class barrio of Arganzuela. Historically, Real Madrid have long been seen as the establishment club. On the other side, the Rojiblancos were always characterized by a sentimiento de rebeldía, a sense of rebellion, although during the early Francisco Franco years, it was Atlético that was the preferred team of the regime, albeit forcibly. They were associated with the military airforce (renamed Atlético Aviación), until the regime&apos;s preferences moved towards Real Madrid in the 1950s. Certainly, the dictatorial state sought to make political capital out of Real Madrid&apos;s European Cup trophies at a time when Spain was internationally isolated; "Real Madrid are the best embassy we ever had", said one minister. Such perceptions have had an important impact on the city&apos;s footballing identities, tapping into the collective consciousness. In this vein, Atlético fans were probably the originators, and are the most frequent singers, of the song, sung to the tune of the Real Madrid anthem, "Hala Madrid, hala Madrid, el equipo del gobierno, la vergüenza del país", "Go Madrid, go Madrid, the government&apos;s team, the country&apos;s shame." Atlético began playing in blue and white, similar to Athletic Bilbao, but soon changed to their traditional red and white stripes by 1911. Many believe the change was influenced because red and white striped tops were the cheapest stripes to make, as the same combination was used to make bed mattresses, and the unused cloth was easily converted into football shirts. The kit has been made by Nike for the past 17 years, as the company wants to provide competition against Real Madrid, who have a deal with Adidas. The current shirt sponsor is Azerbaijan, while Kyocera has a sponsor&apos;s logo on the back of the shirt, Finnish gambling monopoly PAF has a sponsorship on the club&apos;s shorts and the AXN cable channel, a division of Sony Pictures Entertainment, has a minor sponsorship on the back of the shorts. The shirt sponsorship by Azerbaijan has been condemned by Reporters Without Borders, who satirized it in a campaign visual in which the shirt&apos;s vertical stripes become prison bars with the logo "Azerbaijan, Land of Repression". 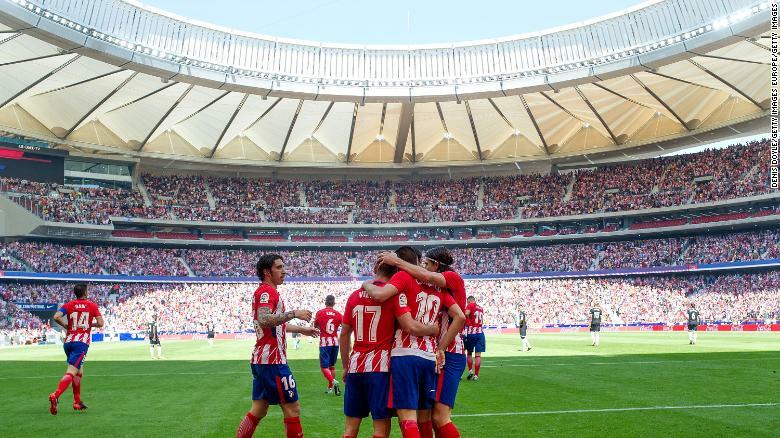 Atlético Madrid admits its sponsorship deal with Azerbaijan has a political dimension, saying the intention is to "promote the image of Azerbaijan". In August 2014, the Helsinki Foundation for Human Rights wrote to Atlético, calling on it to end the sponsorship by and promotion of Azerbaijan because of Azerbaijan&apos;s human rights record, calling it "one of the most repressive countries in the world". Tip: Metro is the best option for travelling to the stadium. Not much in way of food around the stadium. Excellent stadium, very good seats,used Metro to get there and back.Madrid was a lovely city,also did tour of the Bernabau,highly recommended. tip: Stayed at Hotel Toledo,, very good stay and part of the city, close to Metro. Thanks Football Break for a totally seamless experience - everything just worked, things turned up when you said they would and the instructions were easy to follow. We loved Madrid and the Wanda Metropolitano Stadium - great atmosphere and a brilliant game against Real Madrid. We&apos;d definitely book with you again. 16 of us traveled to Madrid for the most recent Atlético Madrid - Real Madrid derby, it was a fantastic experience. The city and hotel were good, flight was average (booked separately) but the game and atmosphere were unbelievable! It was the best 0-0 I have ever seen, the stands of the Wanda Metropolitano were literally shaking at one point. If only FootballBreak did a buy goals option we&apos;d have been laughing. With that said I cannot fault the service from FootballBreak and especially Rebecca who was very prompt with her replies and professional throughout. I will be using them again no doubt and will be happy to recommend to anybody. Great city hotel good and stadium and match good. I could not be any happier with the service and tickets that we were provided. 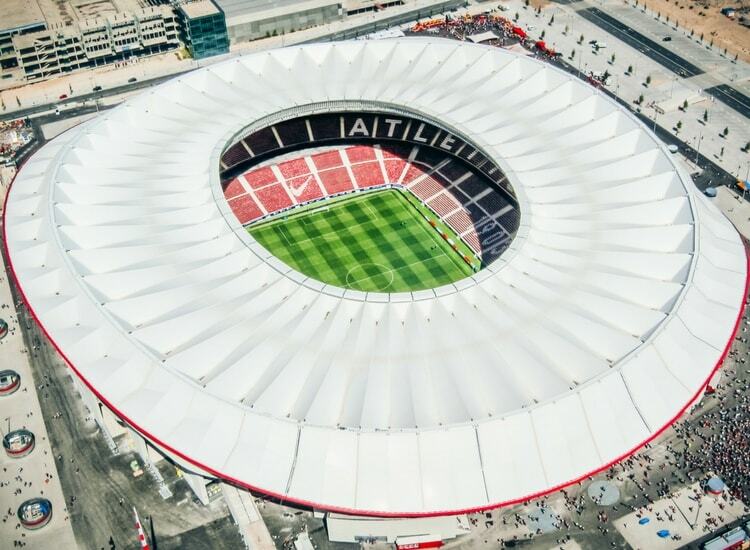 The atmosphere at the Vicente Calderón was fantastic and the ease of not having to find flights and accommodation separately just added to the high opinion I have for this website. Madrid is an amazing city and I would highly recommend it to everyone, I am already contemplating a return at the beginning of next season. For anyone on the wall about using the website, I have nothing but praise for the service that FootballBreak has provided. Tip: Do the stadium tour as well, only 10 euros and is quiet interesting. I would also recommend looking up a few Spanish phrases as outside the main town centre we found very few people spoke English (understandable really). We can highly recommend doing a football break. We were astounded with the quality of the hotel and staff for the price we paid. Tip: Just soak up the atmosphere of Madrid.